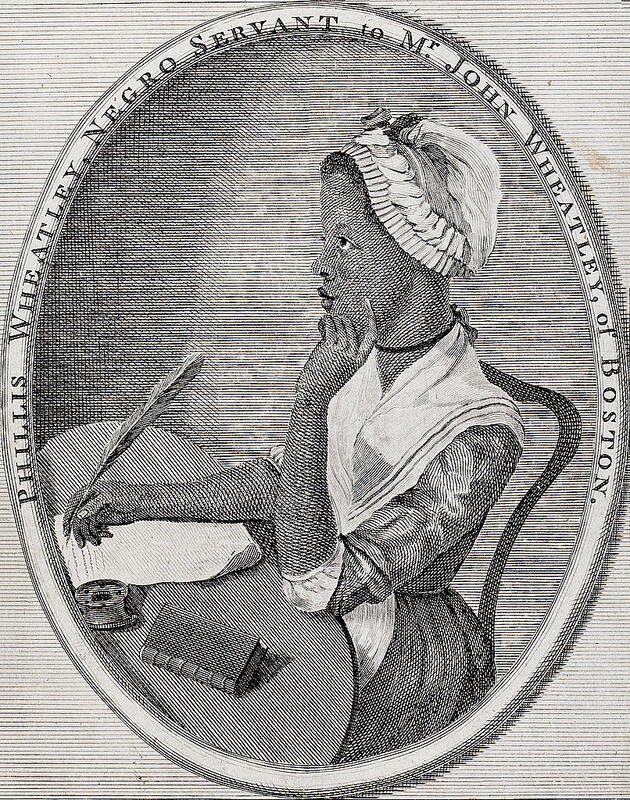 Wikipedia in the classroom: check out these new bios of early American women! UPDATED 12:30 p.m. MDT, with details from my syllabus below the original post. Writing for Wikipedia at this point in history is a little tricky. On the one hand, I didn’t want my students merely to edit someone else’s pre-existing monster Wikipedia entries–I wanted them to make original contributions and to expand our cache of new knowledge in this format. On the other, as I suggested above, we had to be cautious about going too obscure, because content that is too obscure, unclear in its importance, or too un- or under-documented will get scrubbed. Writing about some early American women’s lives seemed like it could be a sweet spot for us. 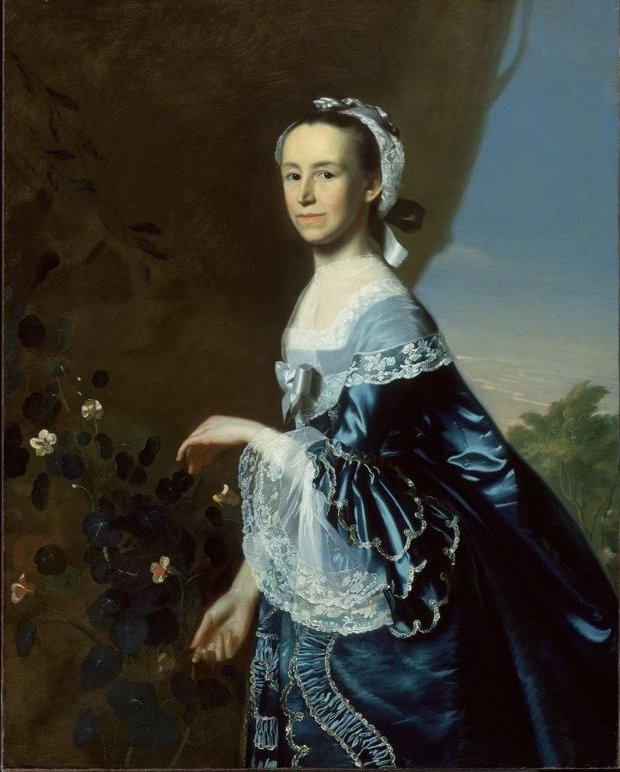 Links to other reputable web sites and Wikipedia can work to show a subject’s importance or significance, but one of my goals was to help showcase some of the latest early American women’s biographies that professional historians have produced, such as Catherine Brekus, Marla Miller, Ava Chamberlain, and Wendy Anne Warren, among others. In the absence of full-length biographies like these, the subjects had to have written and published something themselves, or be the subject of a publication. I was pretty sure all five of the first names on the list would make the cut, but I wasn’t sure about Rachel of Kittery (in what’s now Maine, but was then still Massachusetts.) In fact, the student who wrote about her had his article rejected two or three times before it made the cut. As you can see from my list above, we have no birth date or last name for Rachel, because she was an enslaved woman whose master was convicted of killing her in 1695. No one celebrated her birthday, ever, and no one dignified her with any identifiable or traceable lineage because she was enslaved. The only trace of her probably short life is in two short paragraphs about her case in the Maine court records in which her master, Nathaniel Keene (or Caine) was tried for her murder, but convicted only of “cruelty” towards her. Instead of the death penalty, which was in theory the punishment for murder in early Massachusetts, Keene was fined only five pounds plus court costs (another five pounds, ten shillings. By comparison, people guilty of fornication would be fined anywhere from one to five pounds.) As my student notes, after Lorenzo Greene’s analysis, Rachel’s case set a sad precedent, which was that masters could be held criminally liable, but only for abuse rather than murder or manslaughter. 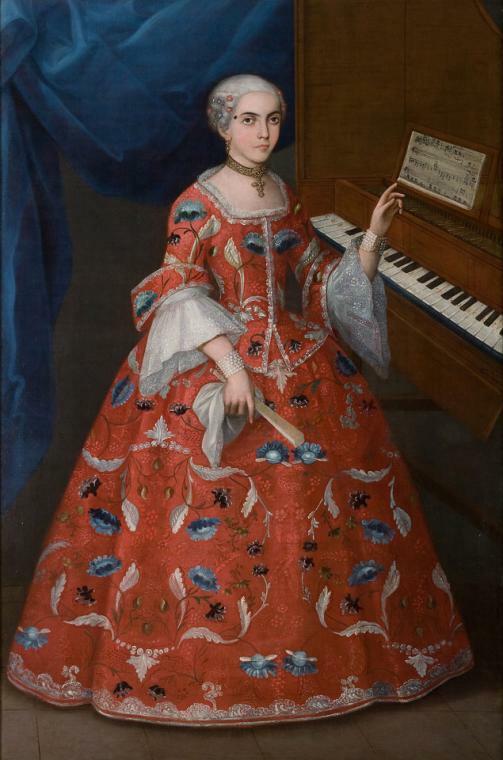 Young Woman with a Harpsichord, Mexico, 1735-1750. Oil on canvas. Denver Art Museum. My student hit on a trick I’ve used to (I hope) good effect in my forthcoming biography of Esther Wheelwright, which is to enlist other early American “celebrities” in amplifying your subject’s importance. He noticed that Samuel Sewall, the judge and famous Massachusetts diarist, was among the panel of Superior Court justices for Rachel’s murder trial, and noted that Sewall published The Selling of Joseph, the first anti-slavery tract published in New England, in 1700. Although there’s no way to prove it, Rachel’s murder may have been one of the many injustices to African Americans that pricked Sewall’s conscience about the morality of slavery. In case you can’t tell, I’m incredibly proud of all of my students. They were permitted to choose their own subjects and conduct their own research, and they really enjoyed writing for a wider public beyond their professor. I think they’ve done a great job bringing quality scholarship to the attention of a wider audience. If you would like to support their work, and that of other feminists working with Wikipedia to get more women’s lives online, please consider writing an entry of your own and perhaps incorporating a project like this into your teaching. Perhaps most importantly: link to these biographies! If you click on the links above, you will notice that the only two biographies of African American women have this notice on top: “This article is an orphan, as no other articles link to it [esp. in Wikipedia]. Please introduce links to this page from related articles; try the Find link tool for suggestions.” (These are the only two brand-new entries my students worked on; the other biographies were heavily revised and greatly expanded stubs or brief bios.) I’ve advised my students of this and have suggested that they get to work on this, but if you have written or edited Wikipedia entries, throw in some links to these articles if you can! Getting Wikipedia to recognize the significance of under-documented women was one issue; another issue that has come up in the case of the women who were the subject of recent full-length biographies is that in the case of the Sarah Osborn entry, my student was accused of “plagiarizing” Catherine A. Brekus’s recent Sarah Osborn’s World, when he merely cites her generously (and appropriately.) I don’t know what led the other Wiki editor to conclude that his work was “plagiarized,” except that 1) he relies on one source (Brekus) a lot, and 2) he cites her generously. It’s almost as though his penchant for generous citation was held against him in a kind of un-nuanced fashion. I’ve reviewed his writing, and I’ve also run big chunks of it through the Google books entry for her book, and there are zero plagiarized chunks of her book. My student did a great job summarizing and crediting Brekus’s work–which is how scholarship operates. It’s not his (or Brekus’s) fault that there aren’t too many other books or articles that focus on Osborn or her diary–but that’s a pretty common issue when it comes to the biographies of previously-obscure women! I restored his last edit and noted that as his instructor, I had reviewed his work and found it to be original. All in all, I count the Wikipedia experiment in my class a great success. Have any of you faculty-type readers incorporated writing for Wikipedia into your classroom assignments? What were your experiences? What words of advice (or caution!) do you have for others interested in trying something like this? In response to Buster in the comments below, I’m cutting and pasting the three weeks from my syllabus in which my students researched and wrote their Wikipedia entries, and also learned how to operate within Wikipedia. You’ll see that my structure was pretty loose, which was good because we had a snow day one of those days, and I was out of town on the day their final essays were due to be uploaded and formatted. I relied on the students doing their own research as well as reading up on Wikipedia outside of class; inside of class, we discussed our work as it progressed, did some in-class peer review of rough drafts, and some group troubleshooting too. One of the highlights of these weeks for all of us was when Marla Miller, author of Rebecca Dickinson: Independence for a New England Woman joined our class via Skype and offered some great suggestions for researching the lives of previously obscure women. The most memorable tip she offered, and one my students used well, was to always imagine the world from the perspective of your subject. What was she going through? What might she have felt? And how can I get at those experiences? Etc. She was warm and generous with her time, not to mention thrilled that Rebecca Dickinson was getting a Wikipedia entry, thanks to one of my students! Weeks 8-10: Hacking early American women’s history! 3/25: ROUGH DRAFT OF WIKIPEDIA ENTRY DUE; Skype call with Marla Miller. Of course. I will add some cut-and-paste from my syllabus to the post above so anyone else who’s wondering can see. If you follow the “teaching with wikipedia” link, it’s pretty easy. You’re going to kill me for saying this but: “This is so 21C skills Historiann! ” Ok, now that we got the technobabble out of the way, any thoughts on why a technoskeptic like you was able to so successfully run a “21C skills” project? As a fellow technoskeptic, I’m frequently amused when I go to technofuturist events and find out I’m already doing a lot of what they tell me I should be doing (without any of the stupid stuff). HAhaha! Is it 1 + 1 = 3 enough for you? I think you’ve hit exactly on why this worked for me: I figured out what I wanted to do with my students, and how Wikipedia writing could help me accomplish it. If you have a clear set of goals and a clear understanding as to how the technology would help you advance them, then you’re golden. Also: my students loved this essay much more than the first one they wrote (a traditional essay assignment based on course readings & primary sources, written for my eyes only). I don’t hate digital technology, just stupid uses of it. I’ll confess that I’ve never understood the “no original research” premise of the Wikipedia operating model–either from an epistemological or a practical matter. Like, if everyone else who ever put anything in print about some figure points out that the person was “born in Ireland,” while you have documentation that they were born in the public square in Boston, you’re not supposed to add that to a Wikipedia article until you can get it in print somewhere else; at which time you can cite yourself as a “secondary” source? It’s not enough to just reference in the entry itself the dozens of horrified contemporary letters and manuscript complaints or reports to the public authorities by self-proclaimed witnesses that this event took place in broad daylight in the Public Garden? Meanwhile, more and more published references cascade into print, repeating the obviously well-documented reality that the birth took place in Ireland? What would Diderot have done? (Maybe this restriction has changed–I don’t check it regularly). That said, one no longer tries to send students fleeing from the very thought of beginning a search on the Wiki, as we often do. I know, I know: I’m citing my forthcoming book while I labor away on the deeply flawed entry on Esther Wheelwright, but I get why Wikipedia has rules like this. And that’s because any jackhole can edit any entry!!! It’s not only professional historians (or whatevers) who get the keys to the car. So in the end, I agree with the policy. Oh, dear goddess, yes. My boss, an eminently respected tenured professor in a “girly” field (apparel fit/design) is trying to get her mentor’s bio on Wikipedia. They keep rejecting it for lack of original whatever, even though when I do a pub search, I’m drowning in references. I can just hear the hipster beard scratching at Wikipedia. Any strategeries/suggestions would be appreciated! Keep plugging away, and keep citing away. If you can find a ilnk to a famous or recognized person in fashion, or find something she wrote that references big names, hammer on that. If you can find big articles by famous people in her field that talk about her and how famous she is, QUOTE those and cite as well (of course.). Other than that, I don’t know what to tell you! You comment is interesting to me in that it may suggest that history enjoys some institutional legitimacy that other fields don’t have, esp. those that are gendered (as you suggest.) Thanks for your comment! Very cool! This probably is more appropriate for an upper-level course than the core courses that are my bread and butter, but I’d love to do this some time, and appreciate the links. I’m also reminded that I need to create an entry for the subject of my own recovery work, now that I have some secondary sources in print that I can cite (which seems a bit strange to me, too, but I do get it, and I’m creating my own site to post hard-to-find primary stuff). And I’m grateful for the hint about linking to better-known figures, since I can do that, and suspect that might be what’s needed to gain her entree. Yes, I think you’re right that it works best in a class in which the students are experienced enough to do most of their own research. Even then, I reviewed two versions of their rough drafts, and they critiqued each other’s draft in class too. The Wikipedia vetting process was also a challenge. Something that was difficult for the students (and even for me) to understand is that Wikipedia is just interested in the facts–no interpretations or arguments, unless they’re arguments that published authors have written already. Wikipedia is a vehicle for reportage, not for original analytical claims–and that’s tough for some smart students whom I’ve encouraged to be creative and to advance their own arguments in other essay assignments! Excellent digital humanities pedagogy, Historiann! I would love to sit in on a chat with your students after their Wikipedia work, to hear how this experience has shaped their ideas about writing for an audience besides the professor (both the wiki-folk and the putative public audience!) as well as how the format and process shaped their possibilities. Thanks, Janice! I’m sure they’d love that–but of course, the term’s over on Friday. . . maybe if I do this kind of thing again we can Skype you in? Great suggestions. 🙂 I’ve used a similar approach, but without as much rigor, for a history of technology course at UCSB. It was sobering for students to see how a Wikipedia page is made, the contested nature of knowledge, and so forth. If nothing else, it gave them a sense of the limits of Wikipedia as a reliable source. Also, for millennials, the instant gratification of posting stuff on line was noteworthy. Right now one of the authors whose book a student used is insisting that the student take down the Wiki bio because the author deems it plagiarism. I would agree if Wikipedia were a site for sharing new research & published signed essays, but it’s not. Some of my students (as in the case of the Rachel from Kittery article) had trouble un-learning writing an analytical essay and learning how to write just-the-facts. We learned that Wikipedia is really, utterly, uninterested in historiography! So essays that read like student papers get scrubbed. One must adopt the voice of objective knowledge in Wikipedia. 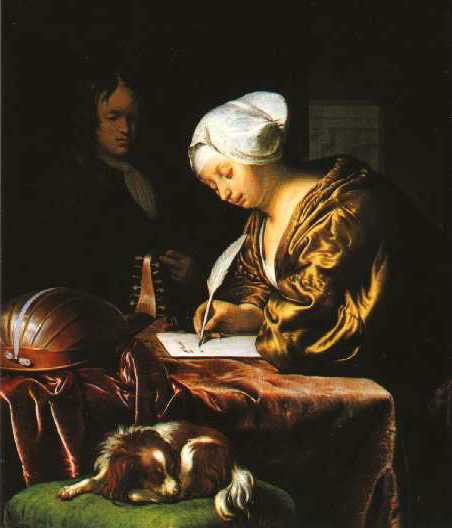 This is great, and very helpful, since I’m planning on a Wikipedia assignment in a class next fall — WOmen in the Early Modern World. I’ll have your blog post as a reading! Let me know if you’d like me to Skype in–I have lots more to say than I’ve included here, inc. some cautionary tales I can share! What a fantastic exercise to introduce students to, as you say, a level of review but also about how knowledge in the digital age is created and disseminated. Though likely not an immediate response, it probably also encouraged your students to think about the credibility of Wikipedia entries themselves – both good and bad aspects. Like some of the commenters above, I’m thinking this would be harder with large survey courses, but in smaller, specialized courses this would be great. You mention you had 6 with published articles, how many were enrolled in total? Could you see this working in group settings? Thank you so much for sharing your experience and also the links to the “For Instructors” on Wikipedia. Yes, it would be very difficult (at least for me) in a larger course–more than 15 or so, anyway–not to mention a course at a lower level. I hope this works for your students. I had my American Women’s History grad students write for Wikipedia about five years ago. We carefully followed the guidelines. Within about fifteen months, all but one of their entries had been removed as “insignifcant.” They weren’t, and they were well written and well documented. If yours stick, that’s a good sign that Wikipedia is no longer the domain of boys with attitudes. Mamie–thanks for your report. It’s very concerning! I will continue to check on these bios. I tried something similar 4-5 years ago. (I pasted my assignment pasted below.) I found that the students really stepped up their game knowing that they were writing something that other people might actually read. But my assignment led to more frustration, because I did not adequately prepare them. I sent how-to links on Wikipedia, but I more or less left them to figure out the editing/adding-new-entries process on their own, which was fine for some, but not at all fine for others. So when I try it again, I’ll do something much more along the lines of what you’ve done here. There were some great successes, though. The Elizabeth Blackwell entry was terrible, and one of my students (about to go off to med school) did a huge amount of work and turned it into a really reputable entry. 1) Since almost everyone uses Wikipedia, we will each do our part to improve it by either writing an entry from scratch or editing and expanding an entry, thereby contributing to the greater good. 2) The process of completing the assignment should make you reflect on why your professors have warned you to be very critical when using Wikipedia. Why do some people/events have entries yet not others? What information ends up making it into an entry, and what information is left out? 1) To motivate you to do a better job of research and writing by making it more relevant and important: people besides your professor and TA will actually read what you’ve written and rely on your expertise. 2) To improve Wikipedia, particularly in regard to historically significant women. 3) To encourage young women as well as men to contribute to Wikipedia; currently, only a small minority (less than 15 percent) are women, as detailed in the New York Times article linked below. From a list of possible entries that I will provide, you will select a name or event. (Alternately, if there is another person or event that you would like to work on, you may ask for permission.) You will then communicate your choice via email to both me. In cases of pre-existing entries, you should take screen shots of the web page as it currently stands. Your job is to either write a new entry from scratch, which must be appropriately sourced, or to determine how to edit and extend an existing entry so that it is better, more complete, and adequately sourced. To do a good job on this assignment, you will most likely need to go to the library and not simply rely on information already circulating online. That said, you will also want to consult databases available through the library, such as America: History and Life, JStor and Women and Social Movements in the United States. In addition to your work on your entry, you must also write a paragraph reflecting on whether and how the experience altered your view of Wikipedia or web research more generally. This should be printed out and turned in during class. This is such a great assignment! I had started working on something similar for my survey classes through our teaching, learning and technology office, but I gave up. Your experience gives me hope that this could be a really useful project in itself, but it might also help develop some skills for our senior thesis assignment. On the first day of class, I showed some fantastic French-, English-, and German-language pages on Mesoamerican codices and gods, and the non-existent or fragmentary Spanish-language pages for the same topics. I made a rather heavy-handed point about what this might suggest to an middle-school kid in Yucatán who wants to write her paper on Maya history. Once a librarian showed students the difference between the FBI’s definition of mass violence and the definition on wikipedia (which excludes domestic violence), they were even more convinced of the importance of using university resources to contribute to public knowledge, and ensuring that wikipedia reflects a range of voices and perspectives. It’s neat to see the range of class projects that early modernists/colonialists are assigning. Thanks for sharing your experience with wikipedia in the classroom, and thanks to the other commentators, too.